Stress | After the Diagnosis, Then What? Everyone is stressed! The fewer the stressors, the more opportunities for learning and development for children of all ages. 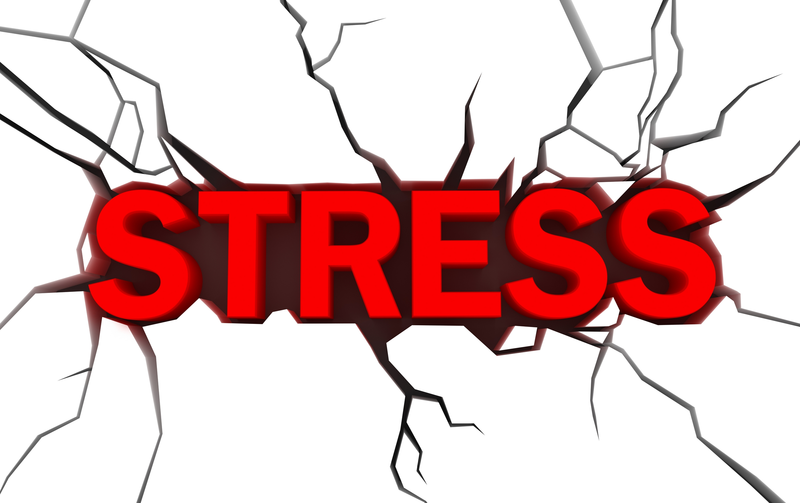 Our goal is to identify and eliminate as many stressors as possible. Environmental – Our homes and schools are full of stressors. o Toxic Chemicals – Lead, mercury, antimony, aluminum, and other “heavy metals” reduce immunity, and interfere with the body’s ability to perform its many functions. Lead is “old news” and we know that any amount is unsafe for cognitive development. Every child should have lead levels tested. Mercury, antimony, and aluminum are the “new” toxins that are also showing up in the bodies and brains of children with all types of delays. Their sources are power plants, ground water, petroleum plants, dental amalgams from the mother, vaccines, flame retardants, cookware, and other unlikely places. Read more about these metals here and here. Green your building with non-toxic materials for flooring, paint, cleaning supplies, building products, art and office supplies. Chemicals from disinfectants, cleaners, building materials and other supplies “off gas” and when a person breathes them, they are toxic to the body. They are especially harmful to people with compromised immune systems, and those who have asthma. The standard benchmark for design, construction, and operation of high-performance green buildings is LEED, which stands for Leadership in Energy and Environmental Design and was developed by the U.S. Green Building Council (USGBC). Find a green building in your city, learn who greened it and consult with them. Here is a handbook on how to green an existing building. o Air Pollution – Open the windows when possible. When too hot, make sure air conditioning equipment is clean and not moldy. Use HEPA (an acronym for “high efficiency particulate air”) indoor air filters throughout building. HEPA filters can trap a large amount of very small particles that vacuum cleaners recirculate back into the air. o Fluorescent lighting – Replace with bulbs that do not make noise or flicker. Use bulbs that offer the right color of lighting. Read this article on lighting. Biological – Our bodies are toxic waste dumps too. Reduce our exposures. o Water – Good hydration is essential for learning. Ensuring that our drinking water is pure is one of the most important steps we can take for children with developmental delays. Water should be available and offered frequently. Use water filters throughout the building. o Diet and Nutrition – What kids are eating can be the determining factor between health and sickness. This is especially true for children with developmental delays. Sugar is one of the most damaging of all products ingested. Read more about it here. Encourage families to cook and not eat “fast food.” Help them understand the importance of a varied diet of natural foods, such as fruits, vegetables, good quality protein and good fats. Children with Down syndrome have especially high nutritional needs. A company that specializes in the care and feeding of those with this genetic syndrome is Nutri-Chem, in Ottawa, Canada. The founder, Kent MacLeod, a pharmacist has written a book on the importance of diet and nutritional supplementation: Down Syndrome and Vitamin Therapy. o Allergies – Many kids with developmental issues have allergies, not only to airborne particles, insects, and other environmental pests, but also to foods. Some allergies are life-threatening and immediate, such as shellfish and peanuts. Others are troublesome, causing fatigue, rashes, respiratory and digestive problems, and are delayed, taking hours or even days to show up. Read about the different kinds of allergic reactions here. Physical – The physical body needs a good sensory diet and sleep to reduce stress. o Movement – Use every opportunity to move to learn. Little children’s bodies learn by moving and using their senses of touch and having their muscles and joints take in sensations. Two good books about the importance of movement in learning are, Smart Moves: Why Learning is not all in Your Head, by Carla Hannaford, and Physical Activities for Improving Learning and Behavior by Cheatum. Obtain the workbook “Begin Where They Are,” with therapy activities, from http://oepf.org/product/begin-where-they-are-0. o Vision – While some children have eyesight problems that can be corrected by glasses, others have vision issues, such as the two eyes not working together, in conditions called exotropia, esotropia and strabismus. Motor activities that are the foundation for vision development and the body must be strong to support binocular vision. The relationship between vision and learning can also be a training session for those at the center. To learn more about vision, read this. A book explaining the role of vision in learning is How to Develop Your Child’s Intelligence by Getman. o Hearing – Listening is to hearing as vision is to eyesight. Although a child can hear, his brain may not process what it hears. Several “listening programs” are available to help children give meaning to what they hear. Look here for understanding of this area. o Sleep – Everyone needs uninterrupted sound sleep for their bodies to heal and repair. Pre-school aged children require 11-12 hours of sleep per night. Young children with disabilities might need more if they are contending with health issues. Help parents and teachers understand their kids’ need for rest periods. Read this. Educational – Schools are often unknowingly a source of stress too. o Inappropriate curriculum – All children learn in a predictable developmental sequence, just as they learn to walk before they run. We discourage teaching rote concepts such as the alphabet, counting and naming to young children. These skills will emerge when a child is developmentally ready. Here is an article on this subject. o Non-ergonomic furniture – Sitting in small chairs when the trunk and head are not stable only results in compensatory techniques like tilting the head and rotating the hips. Replace hard, wooden chairs with soft gym mats, beanbags, cushions and pillows to help children develop core strength. Emotional – Families have so many situations that add stress. o Unreasonable expectations – This stressor is tied to the one above related to an inappropriate curriculum. Children want to please adults, and when they cannot comply with expectations, they become discouraged. Make sure that requirements are consistent with a child’s developmental age. o Worries and fears – Some kids like being around many people; others find crowds difficult. It appeared that many of the children we saw were somewhat fearful of having so many adults watching and prodding them. Observations should be limited to one or two adults at a time until a child is comfortable emotionally. o Family Issues – Today’s families, especially those with multiple children with disabilities, are under a great deal of stress. They need support systems to help them cope. Offer parent and sibling support groups where adults and children can share their experiences and learn from each other. Behavioral – Treating symptoms is never the right answer. o Medications – Pharmaceutical and over-the-counter drugs all have side effects which can cause behavioral symptoms as benign as restlessness and irritability, and as serious as rashes, seizures and fevers. They can also interfere with sensory processing, such as cause double vision and tactile defensiveness. Instead of treating symptoms, look for natural alternatives to prescription drugs, and search for underlying causes of illness, such as food allergies and toxicity,. o Screen Time – While young children are attracted to the bright colors, sounds and movement of objects on computers, iPads, and iPhones, these two-dimensional objects are not good for development. To learn, children need to touch and see objects in three dimensions, not on flat screens. Please consider replacing electronic toys with playthings made out of natural materials. For non-verbal children, speaking with real people is superior to speaking to a machine. Psychologist Jane Healy is the expert on brain development and screen time. Please refer to her books, Failure to Connect: How Computers Affect Our Children’s Minds — and What We Can Do About It, and Your Child’s Growing Mind: Brain Development and Learning From Birth to Adolescence. Even with loving, supportive parents and teachers, the our lifestyle and environment add stress to the lives of our children with developmental delays. Start with the physical environment, and reduce exposures to noise, light, toxins and sensory overload. Every time you replace a product, purchase one of higher quality with fewer toxins. Gradually, stressors will reduce, and the home and school will be more conducive places for learning and growing.